With Thanksgiving and Christmas right around the corner, I can’t help but want to spread some holiday cheer, or cheers, as the case may be! Since this is the season for entertaining, I am planning on giving my bar cart a little refresh, setting it merry and bright through the new year. 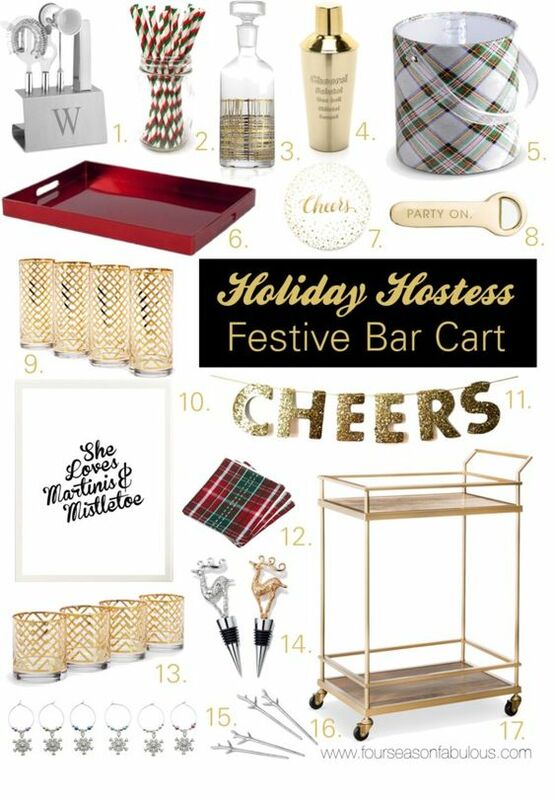 Here are some tips for adding some holiday flair to your bar cart. 1.) Silver & Gold. Nothing makes it feel quite like its officially Christmastime than dusting a little silver and gold on everything in the house, bar cart included! That’s one of the reasons I am loving this silver and gold etched decanter, paired with this monogrammed bar tools set and this cocktail shaker; the perfect metallic trio! 2.) Put a Print on it. Let guests know they are invited to partake in a cup of cheer with a festive print displayed front and center on the cart. I plan on switching out the print currently on my cart, and I think the one below would be a darling replacement. Check out Etsy for cheap downloadable prints or have a fancy gold foil one mailed right to your door step. Nothing adds pizzazz to a cart quite like a cheeky print. 3.) FUNdamentals. There are certain essentials every cart should house, but there is no reason those essentials can’t receive a little holiday make-over! Here are a few of my must-haves with a little seasonal twist: old fashioned & highball glasses with gold accents for the holidays, cocktail napkins in a fun print – I’m obsessed with the plaid ones pictured, a bottle opener with personality, & charming coasters – these gold dotted ones that say cheers are my favorite! 4.) Keep it Organized. An easy way to organize your cart and add a little something extra is with a tray. Display glasses and other accessories on it so people can easily locate and make their cocktails. Guests shouldn’t have to shuffle all the contents around to make a beverage. You can also add decorative bowls and containers to showcase cocktail garnishes or collect unused tools, like stirrers. 5.) Make it Your Own. 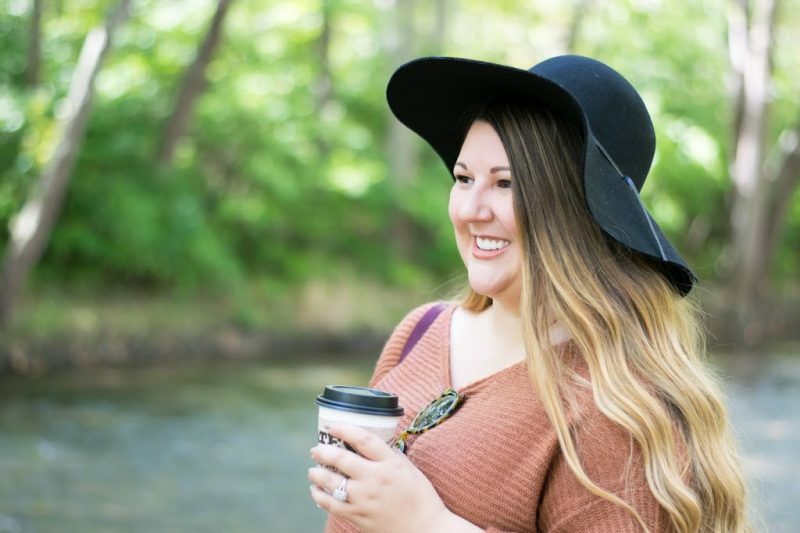 Choose some pieces that feel uniquely you! If wine is your go-to, find fun wine charms & stoppers to add a personal touch. If you are a cocktail connoisseur, stock up on unique straws & stirrers, see those adorable antler ones? So fun! Or just pick pieces that you love, like how this plaid-obsessed girl can’t wait to scoop up the plaid ice bucket! 6.) Stock it up. The last and most important part of making your bar cart festive is stocking it! Consider what you and your guests will likely drink (spiked cider, wine, seasonally flavored martini’s), and make sure to buy those ingredients including appropriate liquor, mixers, garnishes, and ice. Let the party begin!